While it is an isometric brawler, you are not just kicking but for no reason. There is actually an entertaining story to follow with great voices. You start off as an unnamed, unmasked warrior that is having an existential crisis. Turns out you are this amazing legendary warrior that has never known defeat. After the battle, you speak with the captain and he officially relieves you of duty. You are puzzled on what to do next, but the captain suggests that you become a professor! This way you can spread your knowledge of battle throughout the land. You then get to choose which Princess you want to teach first. You will be able to teach others later on in the story. 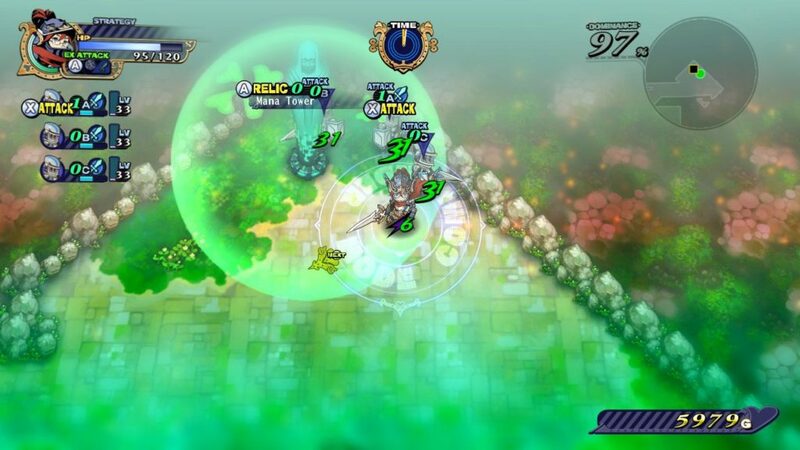 As you take damage in battle, the screen becomes blurry and harder to see the battlefield. To the point where you can’t see really much of anything until you heal. You need to then find a relic mana statue or piece of candy to heal you and your party. At times I have failed a mission just because the entire top part of the games screen looks like the screenshot below. 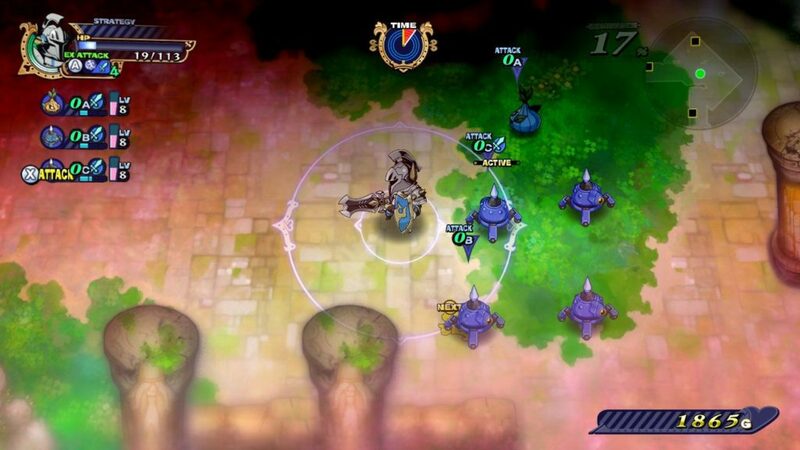 Chests occasionally drop from enemies, mini-bosses, and bosses in the game. 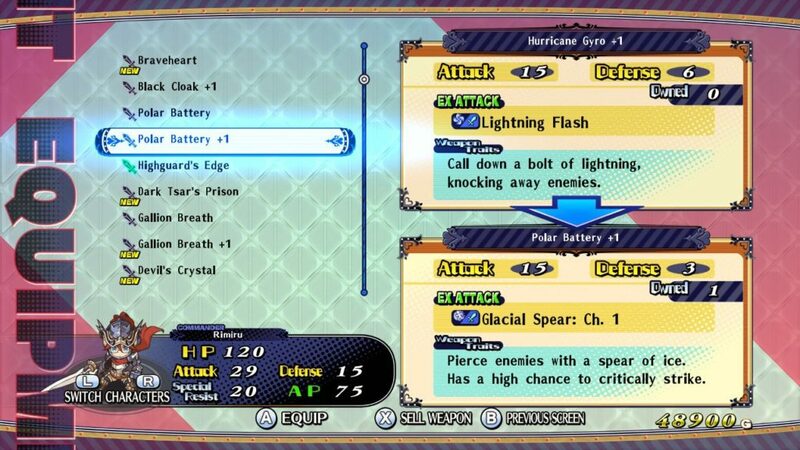 These always contain money, but sometimes these contain other items such as weapons, power-ups, and/or healing items. Currently, the healing items I have found are only candies that give you maybe 10-20% of your health back. This isn’t a lot but it will allow you to take a couple more hits and not have to start the mission over. There are a few ways of healing yourself mid-mission. That is with the food or with mana relics. With mana relics, after you claim them, they will continuously radiate a healing aura for about 60 seconds, so this will allow you to completely heal you and your army back to full health. 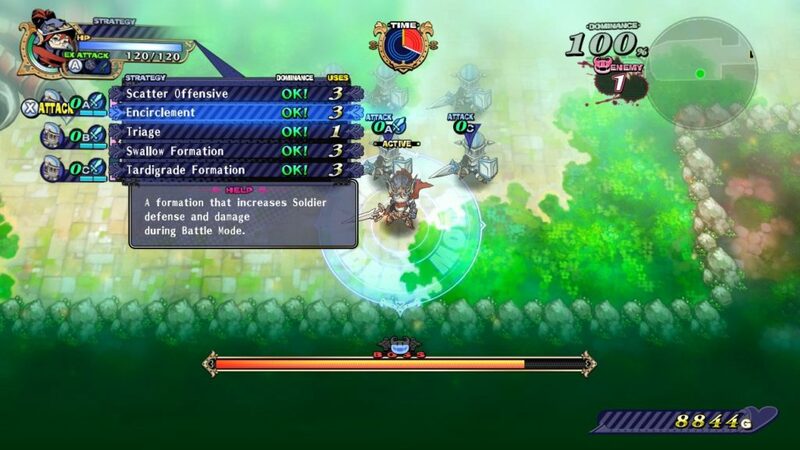 You can also change your strategy mid-mission but you only get so many formation changes in battle. You also have AP but that will not be replenished. To replenish AP, you will need to use an item or withdraw your champion, letting them rest for a few turns. If you do have to start the mission over, there is hardly any loading (maybe 1 or 2 seconds) and you are right back into it. There has been only one Tim where I had to put the Switch down because a particular boss or group of enemies were being really troublesome. When you enter each new area in the mission, there is a checkpoint. If you happen to fall in battle at that time, you will start from that checkpoint instead. In the overworld there is a map for you to explore. 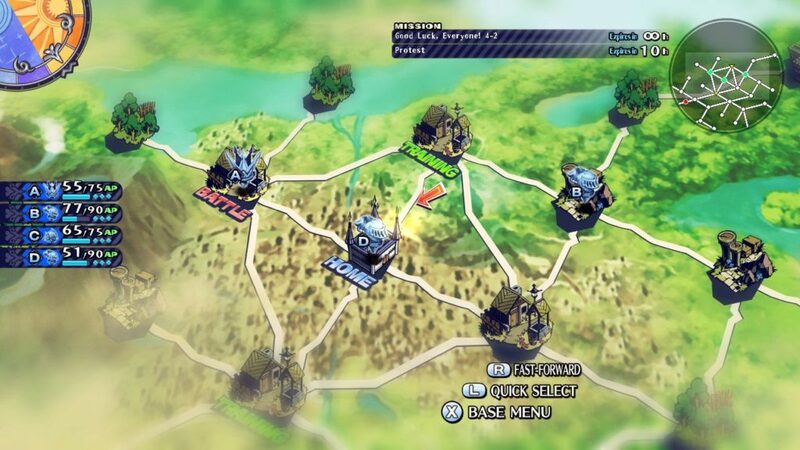 You use the analog stick to select the spot you want to go to and then select the town or forest you want to go to. The game also has items, weapons, power-ups, and various other RPG items. The weapon drops you get in the game are varied, each with their own special ability that you can use. There are plenty of different variations of the weapons and the same weapon can have different stats. I had fun mixing and matching the weapons on characters to see what worked the best. The main reason why you are doing all this is to teach your chosen princess the ways of battle. You can praise or scold her when you control her in battle. This has various side effects like healing her for around 90% of her health. You can also give her skills (called knowledge materia) by meeting certain conditions. Like beating certain enemies, praising or scolding her at certain times, or other such conditions. You can apply these knowledge materia that you obtain using Teach Materia menu option. Providing you have the necessary capacity that is needed. You then get skill points that you can level up your stats. This way you and your friend would not have the same main character or princess. The materia list is where you equip materia gained and examine materia that have been learned already. Virtual Training is basically automated training. You set it and leave it and she will gain some knowledge materia and some experience for her to use later on. As the tooltip says, ‘Provides Special Bonuses for the Princess’. The Diary is the games lore, hints, and world descriptions that you can always reference and learn more about a specific area that you are interested in. Overall the gameplay is quite fun and definitely satisfying. The loop of exploring, beat up baddies while acquiring knowledge materia is quite enjoyable. There are also random events that will happen as well to keep it fresh. The eccentric cast of characters makes it not get too repetitive. The voice acting is top notch and the quirky animations are very entertaining and a great way to keep the player interested instead of static images. This game was reviewed on a Nintendo Switch, in both docked and undocked mode. 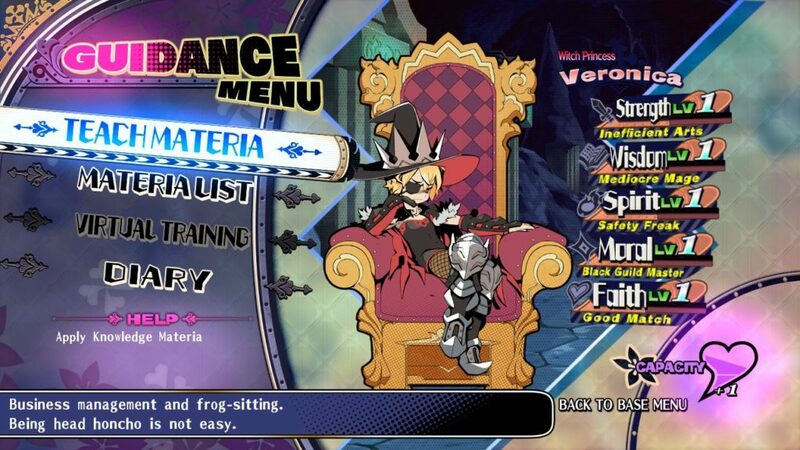 The download code was provided by NIS America. You can pick up the game at Play-Asia for Nintendo Switch or PlayStation 4 Now!